The National hit the Prospect Park Bandshell. 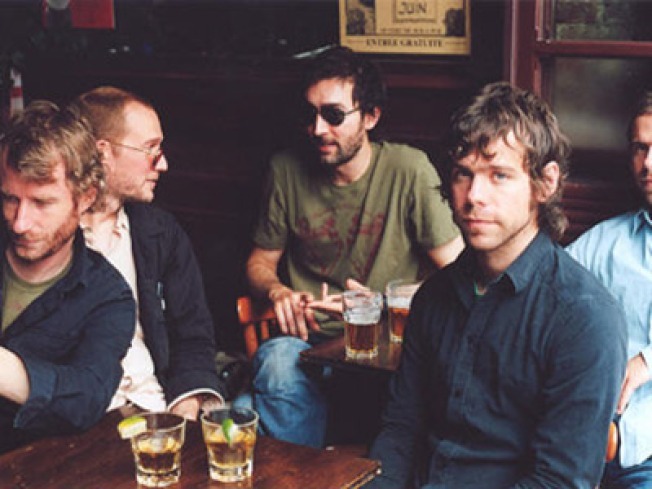 LOVEFEST: The adorably disheveled boys of The National have had quite the summer of love – their JuneRadioCity show with the Antlers was sold out, ditto tonight’s benefit show in Prospect Park at Celebrate Brooklyn! Ticketholders: enjoy. The rest of you: Pack a picnic and plop down in the park nearby – the acoustics coming from the Bandshell will be (almost) as good. 7:30PM/gates 6:30PM. FANGS A LOT: It may seem as if New Moon is somehow already a parody of itself, but a screening of the Twilight flick by the Raspberry Brothers—known for their acerbic running-commentary lambast of movies like Footloose—should take things to a whole new level. The Knitting Factory, 8PM. HUDSON ESCAPE: Beer and cheese. On a boat. What, you need more details? Fine: Schmooze with the hopheads from Shmaltz Brewing Co. (they of the Coney Island beers—we’re partial to the Albino Python), who’ll serve up suds alongside curds in expert pairings, as you take in NYC from the best vantage point of all: offshore. Board at Pier 62 at Chelsea Piers; 6:30–8:30PM.